It is undeniable that there have been a lot of football matches on this blog this season, 2017-18. But today was definitively the last. The players of Ellan Vannin — a.k.a. 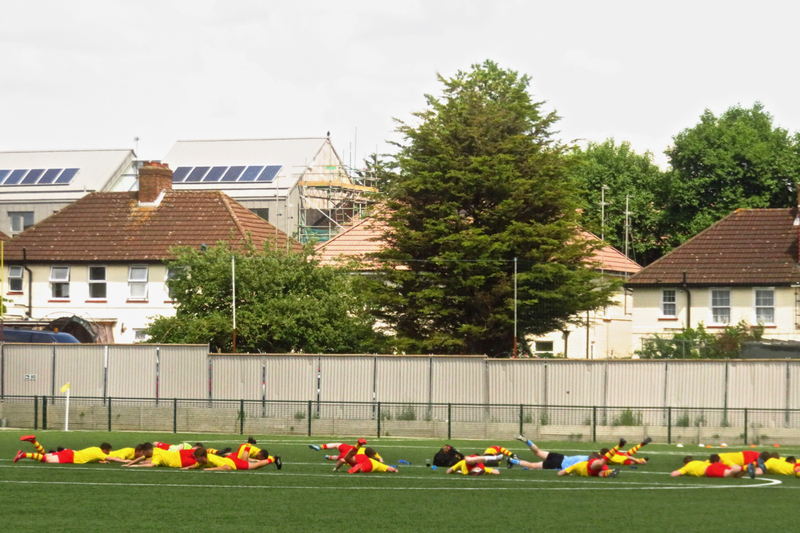 the Isle of Man — warm up before their ConIFA World Football Cup tie with Barawa — a.k.a. the Somalian diaspora in London. If you want to be a country and play international football, ConIFA is the place to do it. But this did not diminish the day: like most of the other 39 games of my season (not all depicted on here….) it’s been enjoyable. But less football for a while now. I promise.